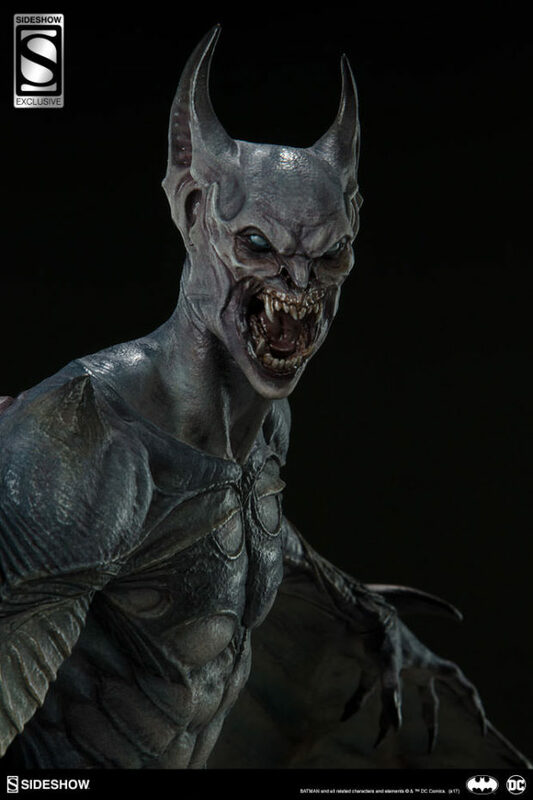 Last month, Sideshow Collectibles unveiled a new series of Batman statues called “Gotham City Nightmare.” The lineup reinterprets the Dark Knight and his friends and foes as extreme manifestations of themselves. As Sideshow puts it, it’s like if the hallucinations caused by Scarecrow’s Fear Toxin became real. 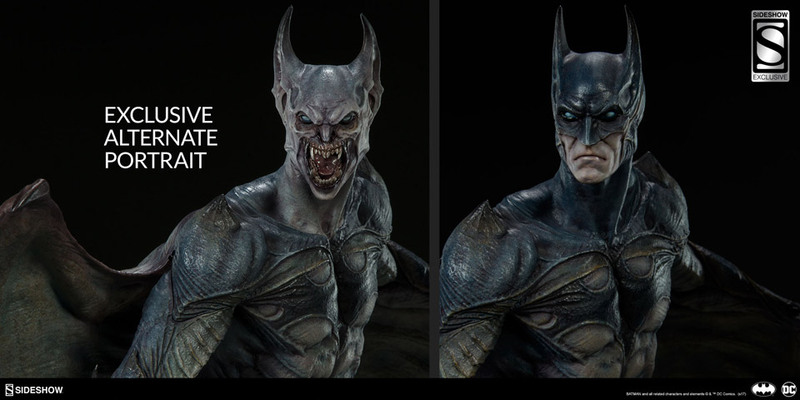 They also described it in the product video as how the bad guys see Batman, an image that Bats himself reinforces and projects. 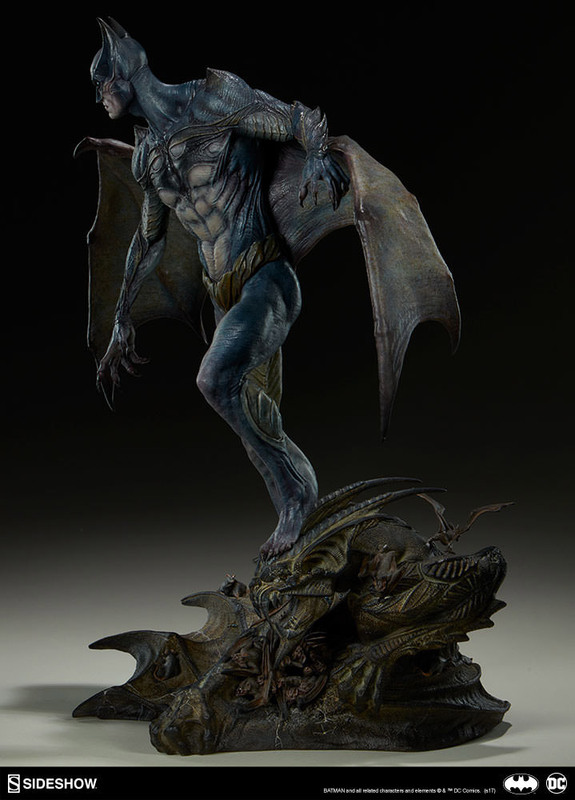 For instance, Gotham City Nightmare Batman looks like an undead aquatic bat vampire. 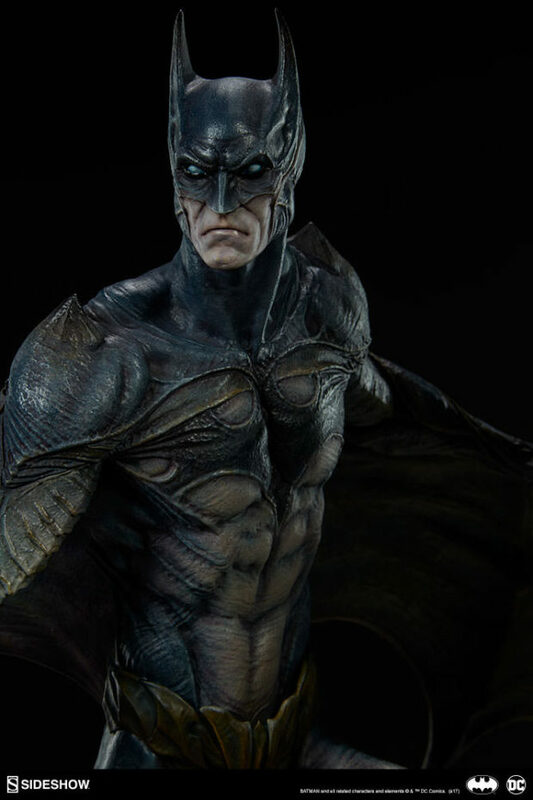 His “costume” is actually a leathery skin, and his cape has become a muscular but grotesque pair of wings. 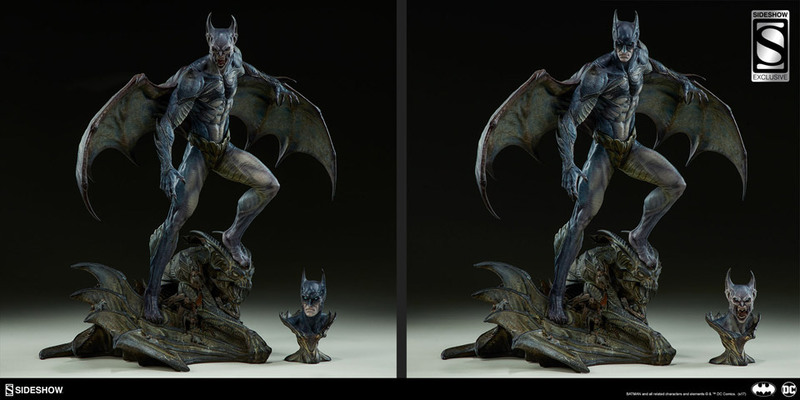 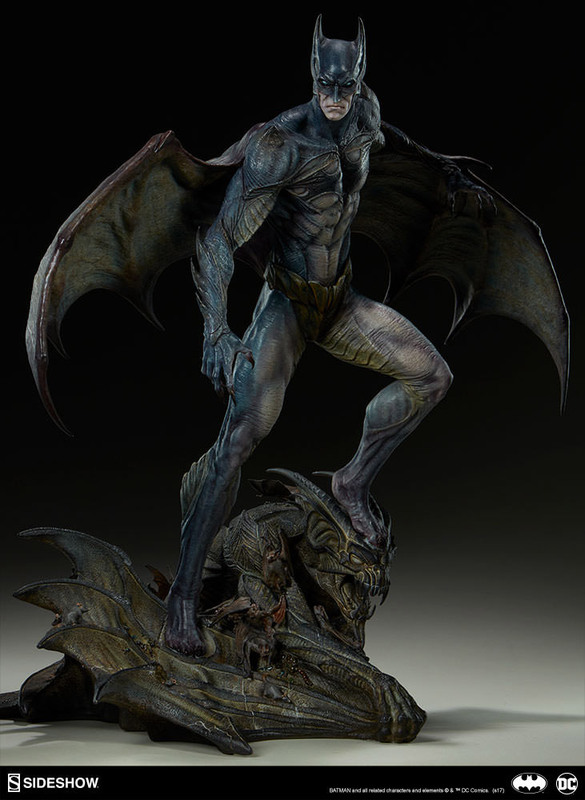 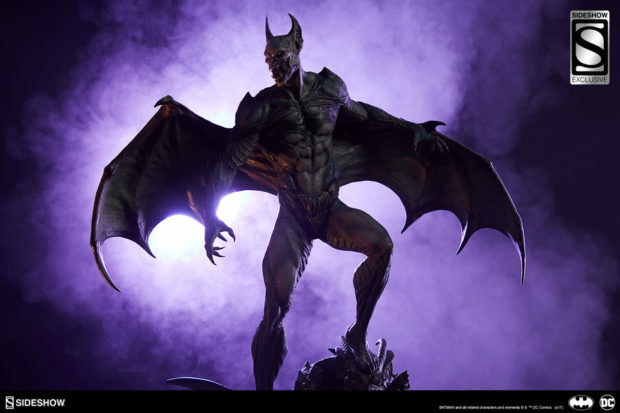 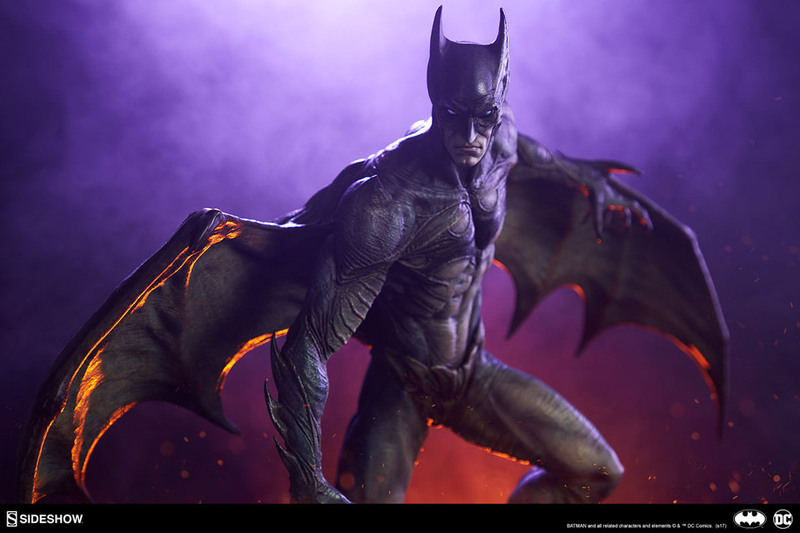 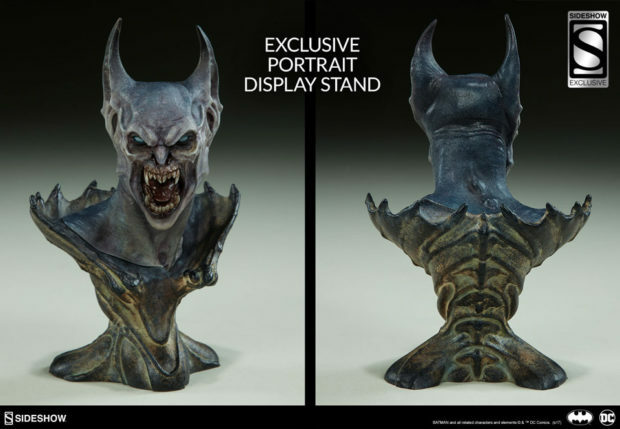 The statue also comes with an alternate portrait of an even more literal bat-creature, as well as a pedestal for the alternate portrait. 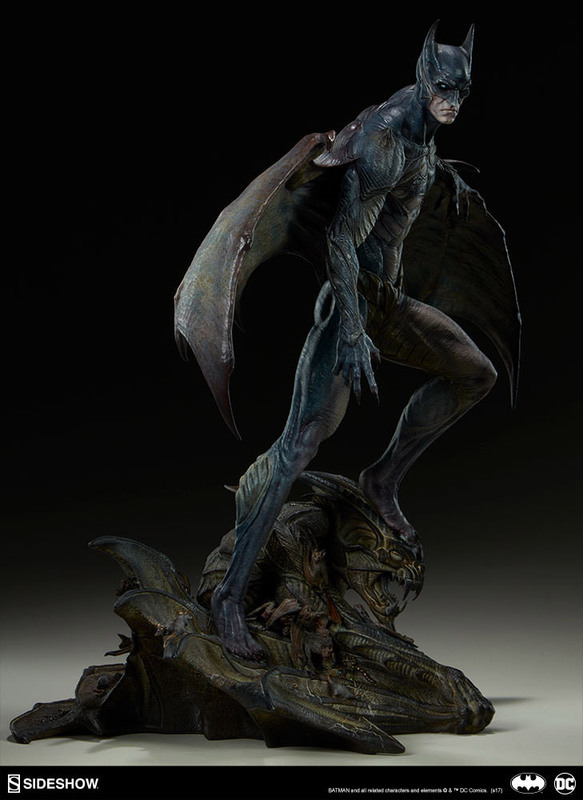 The statue’s base is packed with grossness too, with bats, rats and insects crawling all over a huge gargoyle. 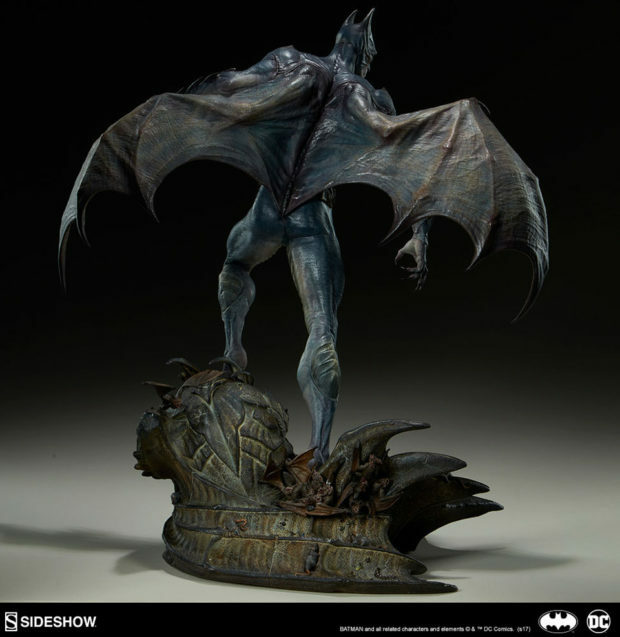 Sideshow is offering the statue for $525 (USD). 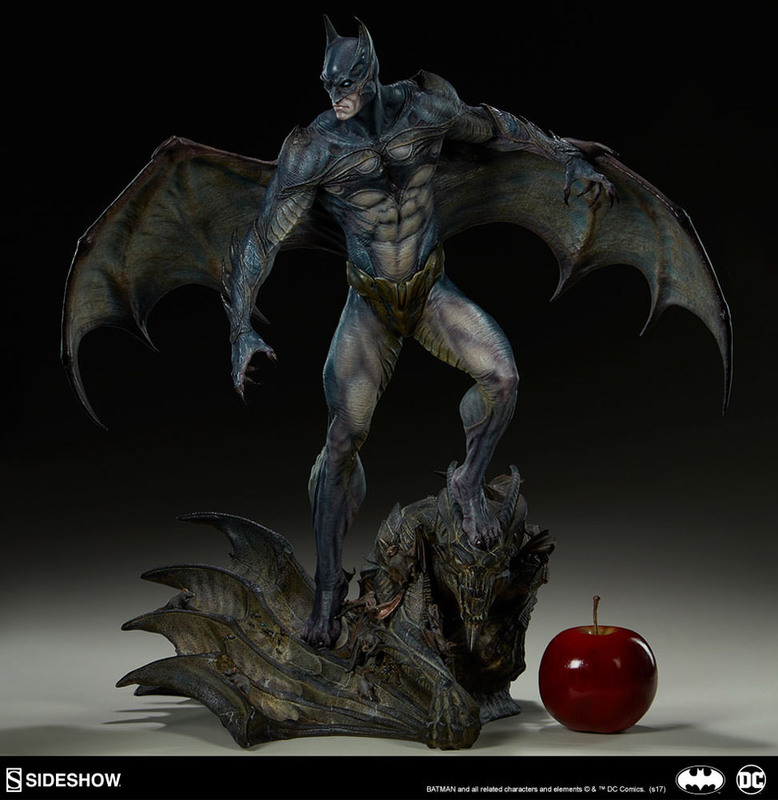 As shown in the video, the next Gotham City Nightmare statue will feature the Joker as a Tetsuo-like blob of the people, animals, and objects that have been associated with the character.